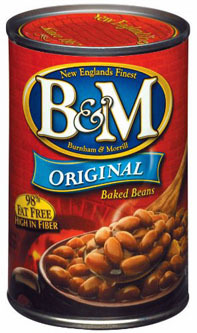 B&M Baked Beans are the only brick oven baked bean. Baked in steel pots inside brick ovens gives these baked beans a firmness and authentic taste. When you ladle B&M Baked Beans you’re ladling a spoonful of America!